For decades the only place you could get booze at Disneyland was at Club 33, the “secret” member’s only lounge that costs tens of thousands of dollars to join. 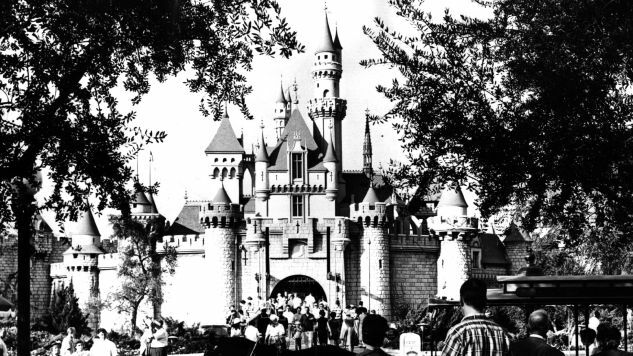 The rest of the Happiest Place on Earth has been as dry as Death Valley since it opened in 1955, forcing those who needed some liquid courage to ride the Matterhorn to either venture outside the park or pregame before walking through the turnstiles. Well, that’s going to change in 2019, when Oga’s Cantina opens at Star Wars: Galaxy’s Edge. For the first time cocktails, beer and wine will be sold to the public inside Disneyland, according to the Disney Parks Blog. And apparently they won’t be regular old drinks, but Star Wars-y, somehow. We’ve known for a while that Galaxy’s Edge was going to have a cantina. It’s a pretty obvious thing to toss in there—dive bars have been a crucial part of Star Wars since the very first movie. All three of the central trilogies have had at least one memorable scene set in a bar, from Walrus Man getting his arm sliced off in the first movie, to that Seth Green-looking guy trying to sell “deathsticks” to Obi Wan in whichever prequel that was. Thematically it’s a gimme for a hyper immersive Star Wars land, and since those hives of scum and villainy presumably weren’t serving Shirley Temples, it makes sense to booze ‘em up—even if it means ending a 64-year-old tradition of not serving alcohol to the public inside Disneyland. It’s also not a big surprise because alcohol’s been a major feature at several other Disney parks built over the years. With its International Food and Wine festival, Epcot spends three months out of the year serving as a giant, open-air bar as much as a theme park these days. Disney’s California Adventure, right next to Disneyland, has been serving for years. Even the Magic Kingdom in Orlando, Disneyland’s younger (and bigger) sister, now serves alcohol at its table service restaurants. It’s felt like the wind’s been blowing this way for years, but it turns out it was actually just the Force pulling Disneyland closer and closer to embracing alcohol. Oga’s Cantina, like the rest of Star Wars: Galaxy’s Edge, will be opening at Disneyland in California in 2019.